A Normal Size, Thin, Nicely Made, Visibly Aged And Anciently Used, Bulbous Base Cossatot River Point That Exhibits Surface Frosting And Stone Aging Coloration Patination, Aging In The Tang Notches, Correct Blade Sharpening Use Reduction, Aged Stained Hinge Deposits, Correct Material And Manufacture For The Area Found. 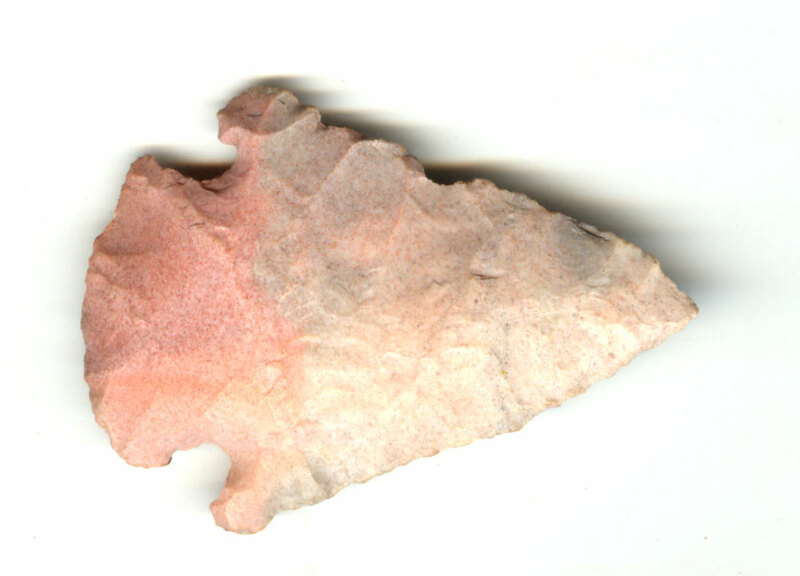 The Cossatot River Points Are Found With A Plain Bulbous Base Or A Center Notched Base, Having Deep, More Angled Notches Than The Closely Associated Calf Creek Points. The Type Was Named By Greg Perino For The Cossatot River In Southwest Arkansas. Includes A Ken Partain Certificate Of Authenticity.